Pretoria (name may change to Tshwane). Critical skills work visas. Critical skills work visas may be issued to individuals possessing skills and qualifications determined to be critical for South Africa as per a notice in the Government Gazette. Expatriates may not change employers or terms of employment without prior approval from the immigration authorities. If an expatriate does not comply with the conditions of his or her visa or if he or she contravenes the immigration legislation, the expatriate is classified as an undesirable person. Employers must make a good faith effort to ascertain that no illegal foreigner is employed by them and to ascertain the status of the visa or citizenship of individuals employed by them. South Africa does not have a social security system per se. However, South Africa does have contributions that are similar to social security contributions, such as Unemployment Insurance Fund contributions and Compensation Commission contributions. Limited unemployment insurance and accident or illness benefits are provided. Employers are required to make contributions to the Compensation Fund, which was created under the Compensation for Injuries and Diseases Act to insure employees against industrial accidents or illnesses that result in death or disability. The Compensation Commissioner determines the amount of the contributions after the employer reports the annual total remuneration of employees. 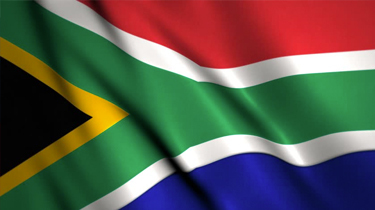 Thinking of contracting in South Africa?